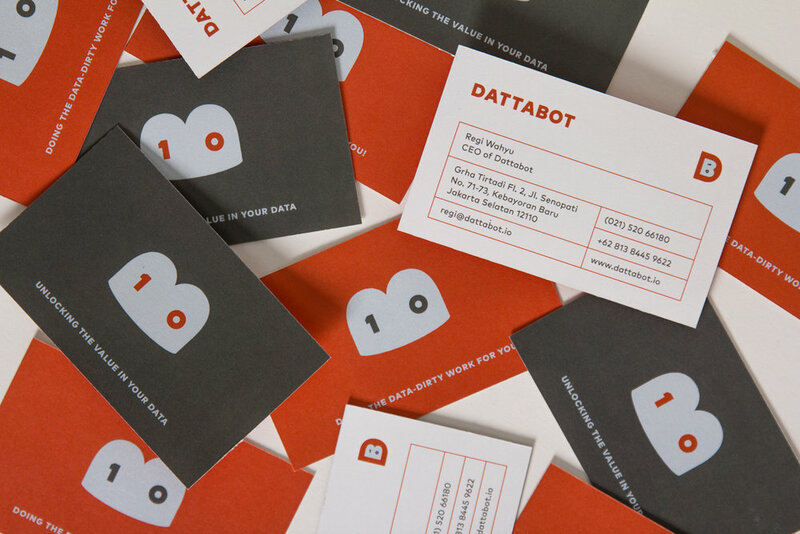 Together with Thinking*Room, Credens rebrand the identity to convey a friendlier vibe of big data, as well as educating the general public through offline community platform called Dattabot Dojo. After its rebrand in 2016, Dattabot is known as the forefront of Indonesia’s big data industry. Within a year, It has succeeded in establishing 47 partnerships with companies from different institutions (Government, NGO, Private sectors, etc). Dattabot Dojo has also become a founding member of 3 strategic associations: Fintech Indonesia Association, ABDI (Indonesia Big Data Association), and Indonesia IOT Forum.